Toad Tuesdays: What do toads eat? I frequently get questions about the average toad diet. The answer is: bugs! Lots and lots of bugs. Don't you wish you could just put a bunch of toads into your game's code when you hit alpha stage? Game devs would never starve! Someone's waiting for her food dish to refill! 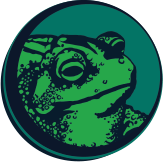 Toads are insectivores which means they eat nothing but bugs. The bugs also have to be alive, unlike those freeze-dried mealworms that bearded dragons love to munch on. 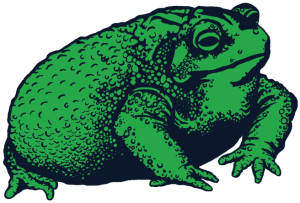 You might've seen some Youtube videos here and there where people give their toads cat or dog food; where if that poor amphibian is hungry enough they'll eat it. That is really bad for them. I beg you, if you're squeamish about handling live bugs then PLEASE don't adopt a toad! Yael frequently eats off my hand but she also has a food dish so I can easily sprinkle calcium dust on her bugs, and those days she doesn't feel like eating off my hand. 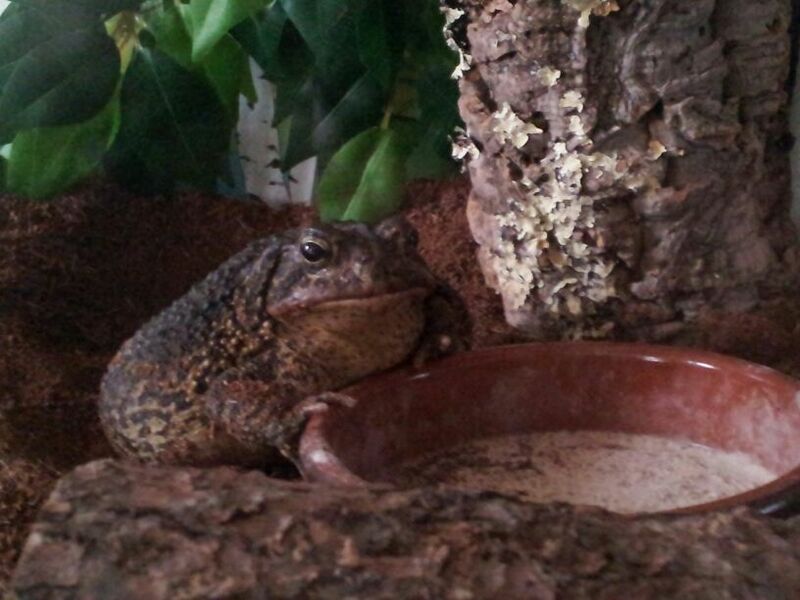 A food dish can mitigate the ickiness of handling bugs, but it won't totally get rid of that aspect of having a toad. Toads in the wild can eat hundreds of bugs per night if they really want. Gardens and grassy areas can be like a toad buffet! Domesticated toads don't move much though so they shouldn't be eating anywhere near that much. I feed Yael three days a week and usually give her a couple worms or dubia roaches, her favorites. I worried about not feeding her enough and the vet assured me Yael is definitely not starving. Photo Credit: Dubi Deli // We've been longtime customers of Dubi Deli and love them! They have better quality and price for dubias than chain pet stores. Here's what they look like if you're curious. She LOVES superworms and gets incredibly excited for them. Between their ease of upkeep compared to dubias, making no noise or mess, they're her primary feeder bug but I feel guilty for not having enough variety. But I think she must've been a child who was a picky eater in another life because whenever I present her with most other bugs, she turns her nose up at them! Photo Credit: Drs. Foster & Smith // Superworms! They range from half an inch to about two inches long, and the bigger ones have little diggers that stick in your skin sometimes which makes me all the more grateful Yael snaps them up fast. She refuses to eat wax worms. Gets all "meh" at mealworms. She liked chasing after crickets for a while, but they're so noisy and don't provide as much comprehensive nutrition as dubias and wax worms. Read: the Cheetos of toad cuisine. So crickets are a treat whenever she goes to the kennel. I even got her a huge nightcrawler once and she wrestled that thing like Andre the Giant and got a really good workout eating it. I tried to give her another one a week later and she looked at it, then looked at me, as if to say, "Screw that, that's way too much work! YOU go tackle your dinner with both hands and feet, missy." All was forgiven when I plopped some superworms into her food dish. Most domesticated frogs and toads aren't as picky as my little sweetness. But this is a general idea of what toads eat for those who are curious, or are considering adopting a toad. You don't have to get crickets which I honestly don't recommend as a feeder bug based on the noise, smell, having to constantly feed and water them without drowning, and their tendency to kill each other or themselves when they get stressed. Yael loves her tasty worms. She gets a little horned worm as a treat every now and then. I sprinkle her food with a mix of Repashy calcium dust and Herptivite frog vitamins so it keeps her eyes clear and her skin is nice and resilient. She's one happy and well-fed toad!